This model is equipped with a suspension eye at the top, making it possible to suspend the rack or use it as a wall model. 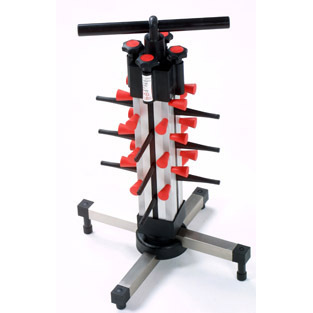 Adjustable feet compensate for any unevenness in any surface. Easy to clean with a high pressure washer or with soap suds and a brush. All models adjust to fit nearly any dinner plate size. 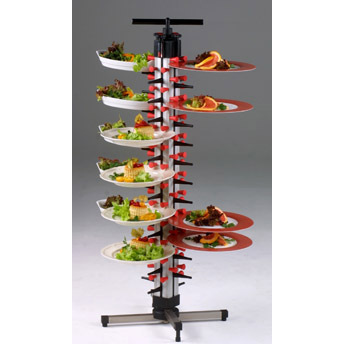 If used properly you can tilt our dish racks up to a 20 degree angle, fully loaded, without dropping any plates. Our products are fully tested in professional kitchens throughout the USA. 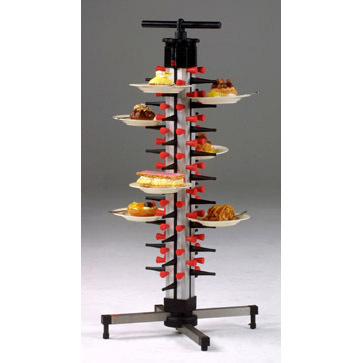 Our tabletop models make a wonderful table centerpiece for any event. Simply drape our tabletop Plate-Mate® with tulle, satin, or any material that the host likes. 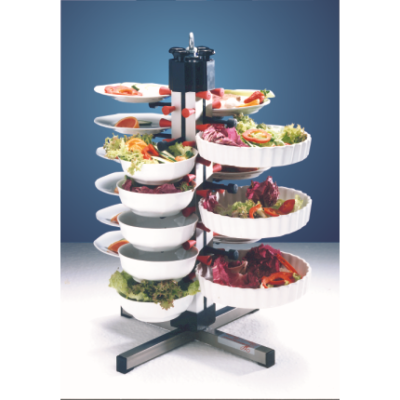 Then insert your plates with appetizers, desserts, or any room temperature food. Now the guests can serve themselves and you have freed up a staff member.